Recently, we’ve stumbled over several super cool hotels that would fit right in in New York, Paris or London, but instead are located in smaller cities, maybe a bit off the beaten path for most travelers. We at 12hrs love discoveries like this that challenge what you thought you knew about smaller towns, not-so-big cities or remote locations. Take The Dean Hotel in Providence, Rhode Island. 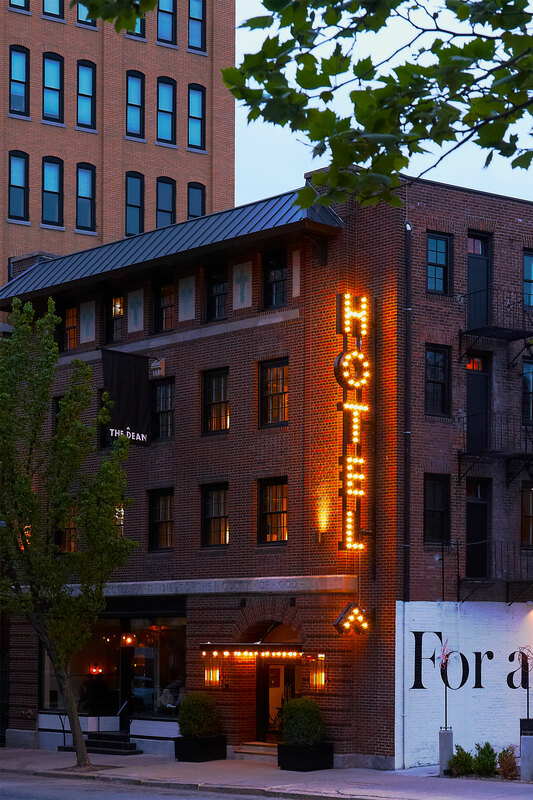 Located in the heart of historic downtown Providence, it’s a 52-room hotel housed in an early 20th century brick building that has been thoughtfully restored by Brooklyn-based owner and designer ASH NYC. This picturesque 5-story hotel sits in the center of a vibrant culinary and cultural scene, and is located just a few blocks from Brown University and the Rhode Island School of Design. The property features unique interiors that give a fresh take on comfort and simplicity, while retaining many of the building’s handsome original features, including its mosaic tile flooring and brick façade. ASH gave the hotel a timeless look that marries old and new, blending custom-designed furniture and fixtures with fine European and American antiques, sourced from dealers and homes around the globe. 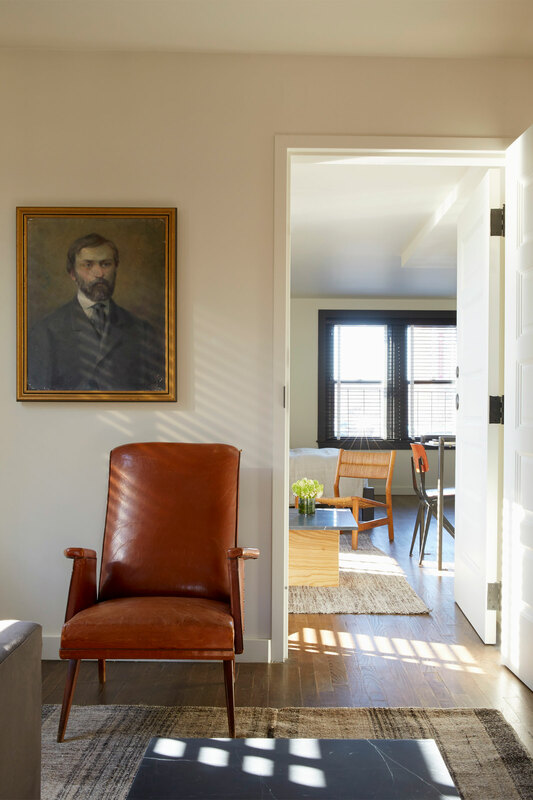 Few of the 52 rooms or suites are alike – all include vintage pieces and artwork, custom-designed fixtures, local handcrafted furniture, and custom-blended soaps and linens. 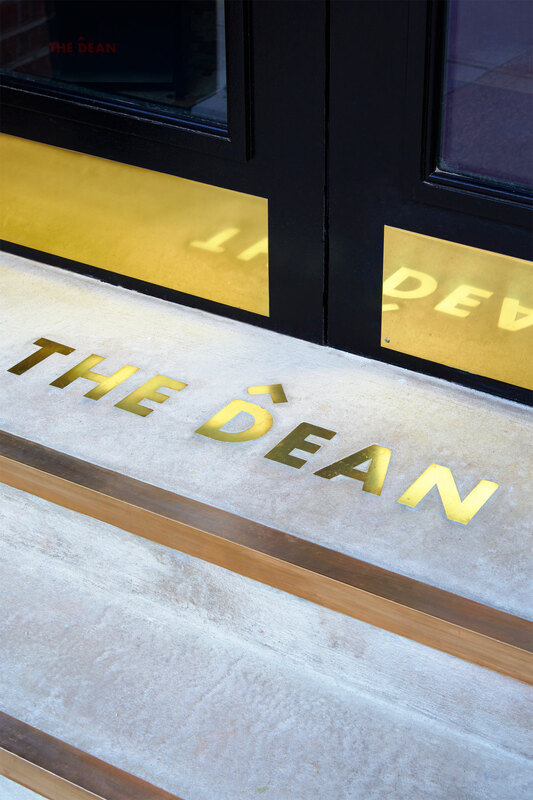 There are several great food and beverage venues at The Dean, including Bolt Coffee Company, a local coffee bar located in the hotel’s lobby; The Boombox, a private karaoke bar (! ); hotel bar The Magdalenae Room at The Dean, and Faust’s Hofbrauhaus, a street-level beer garden and restaurant housed in a portion of the hotel that was formerly a gentlemen’s club. Situated centrally on Fountain Street in downtown Providence, the hotel is surrounded by many of the city’s best galleries, boutiques, bars, restaurants and universities. So, who’s up for a trip to Rhode Island?